I added my name to the waiting list for the free Founders Year of OnLive not expecting to get in, but when I woke up this morning there was a nice little gift in my email. 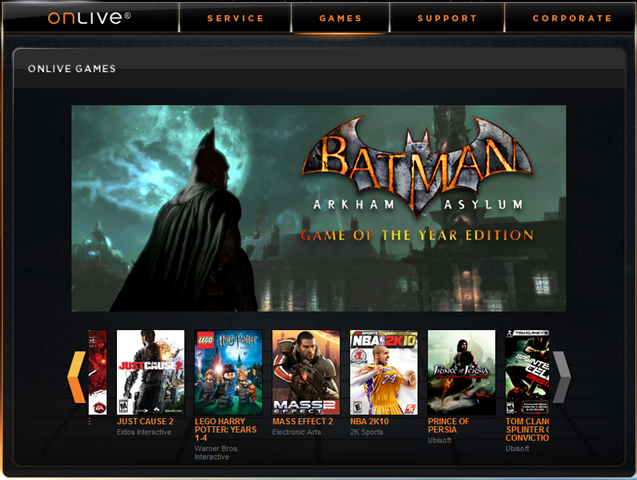 I am now a founding member of OnLive, and as such I have a free year of the service. For those that don’t know it works like this: You still purchase all of the games you want at full price, except you HAVE to buy them through OnLive. This means that at some point they will be unplayable (not a real problem, they guarantee the game for a few years, and then if might go away. But if I honestly love a game that much, I’ll just ebay it in five years if I want to play again. It also means that you have to be connected to the internet in order to play the game. Anyone who knows me or has followed this blog knows that I hate DRM, and especially stupid DRM that forces you to be always on the internet (a-la Ubisoft). So why am I ok with this service? Well to understand that I need to post the spec’s of my laptop. That is the important stuff. Anybody that knows anything about computers knows that this laptop is old and useless. I can’t even START World of Warcraft because it doesn’t have the capability to handle 3D. Not only that but it literally struggles just opening folders at this point. Websites load faster than the web browser itself, and even old 2D games like Diablo are unplayable due to the jittery way I have to play. I basically keep this laptop around for when my, or my wife’s, computer explodes and we need something to surf the internet on. It is also used for bathroom entertainment, if you catch my meaning. 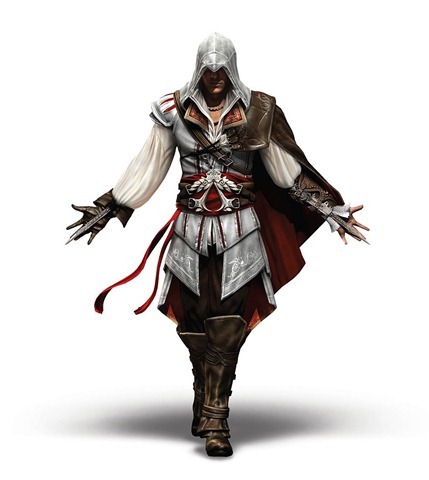 So after I messed around with OnLive on my main computer I decided to try it on my Laptop just to see if it was viable.I installed it and discovered that you can’t use it over WiFi, which I guess kind of figures, so I plugged the laptop in and loaded up Assassins Creed II. It didn’t look as good as I remember on the 360 (it could just be a bad PC port) but it ran decently. Not perfectly smooth, but considering the program barely runs and my computer is below specs CPU wise, it did a stellar job. More importantly it may be enough for get me to buy my games through OnLive from now on (if they get them). It ran pretty well on my main PC as well. Again, not perfectly smooth but smooth enough that I rarely noticed. Add to that the fact that my internet is REALLY unstable and cuts out often, and the service really impressed me. If you can get into the free founders year I suggest trying it out. They have “Demos” of all the games on their service, which is a free 30 minutes of play time on the game. That’s what I’ve been messing around with, and I’ve thoroughly enjoyed it.